For Australian-Filipina actress/ endorser Jasmine Curtis-Smith, stepping out of her sister’s shadow was definitely a big challenge. And now that opportunities are starting to pour, she is set to prove to everyone that it is her individuality and talent that will tell her apart from her superstar sister. It was only just recently when Jasmine was offered a big break for her career and she cannot be more grateful to the people who helped her. “It was like a dream come true for me to finally make a name for myself. I’m really thankful to everyone who trusted me and believed in what I can do,” says Jasmine. The promising young actress is now being groomed to be a television royalty in one of the major TV networks in the Philippines. After finishing secondary school, in Australia, Jasmine went back here in Manila to pursue a full-time career in Showbiz and her college degree in Ateneo De Manila University. This glamour chic is definitely more than just a pretty face! Aside from acting, where she by the way excels satisfactorily, Jasmine is also a good dancer, plus she writes essays and poems. How can all that talent be contained in just one awesome body? Jasmine is exquisitely beautiful, bordering to looking perfect, and that’s a given. The pretty face paired up with a good character is the ideal formula for a potential showbiz celebrity. No wonder her endorsements come left and right, but for the young Jasmine, choosing what merchandise to endorse goes beyond any monetary value that the project offers. “I do not want to just recommend a product for the sake of recommending it. I’ve got to have some sort of trust and confidence in the brand that I am endorsing. A real brand ambassadress as you may want to call it,” explains Jasmine. So, the big question is, why a feminine pad? “I feel like it’s my moral obligation to my fellow Filipinas to introduce them to something that can help them during their red days and that is Perfect Pads,” answers Jasmine. Menstruation is natural to all women but it can get really uncomfortable at times, not to mention the “hassles” it brings that can affect your entire day at work or at school. 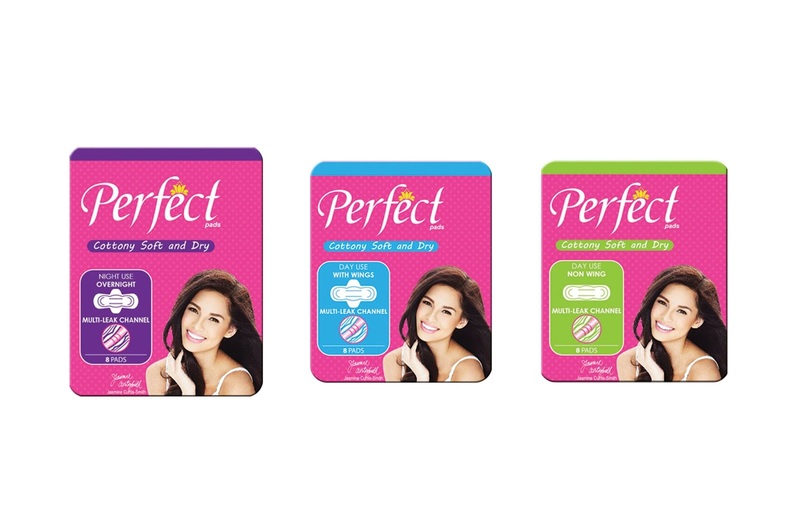 “With Perfect Pads, every Filipina can have a Perfect day, every day!” Jasmine added. “I’d like to thank Perfect Pads for choosing me to be their new ambassadress and I’m really, really looking forward to all of our projects which will allow us to touch more lives and influence the youth today as we will soon be embarking on an advocacy campaign for them” exclaims Jasmine. Jasmine's lip color is gorgeous! Yup, it compliments her skin tone. based on the photo I guess it's MAC Pink Nouveau. I have a feeling I will see this brand at the local supermarket pretty soon. Striking diba? Yes, it will out in the market soon or it's already in the market na haven't check pa.
Will try to look for this in the grocery and will definitely try something new for a change. Let me know how you find it. I'll try this brand lapit na din kasi monthly period ko. she's so lucky to have a lot of tv commercials and a lot of product endorsements. Yes, ganda ng lipstick nya and her image kasi fits almost every kind of teen products available in the market today. Just knew about the pad on this post. Hehehe! Thanks, have you tried it na? will try out this new product. i hope Perfect Pad will soon be available in the leading supermarkets.